Tracks 1-3, 6-8 Live at the Hollywood Bowl in Los Angeles CA on August 23rd 1964. Tracks 4-5 and 13-15 Live in Tokyo Japan on 6/30/1966. 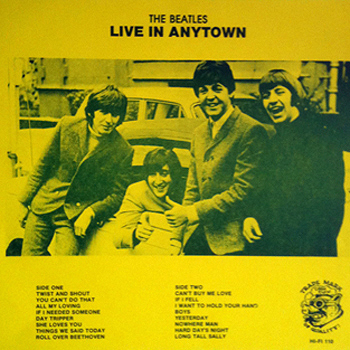 Tracks 9-12 and 16-17 Live in Philadelphia's Convention Hall on Sep. 2, 1964. Track 15 not listed on album song list. Tracks 1-8 on side 1and tracks 9-17 on side 2. Estimated release date.